Northwich will be full of Easter fun on Saturday 20th April. That’s because it’s the date of the 2019 Northwich Easter Extravaganza which once again features an action-packed line-up of activities. Organised by the Northwich Business Improvement District (BID), Barons Quay and the Northwich Independent Retailers Association, the event will take place from 9:30am-4pm throughout the town centre. 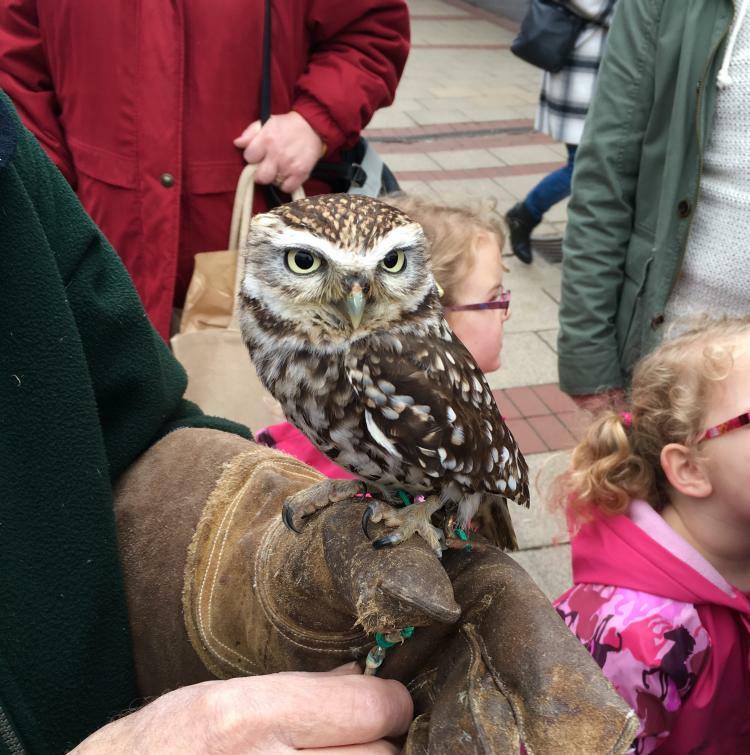 Northwich Library will host Easter crafts from 9:30am-12:30pm, there will be crafts, mosaic making and caricatures outside Barclays from 11:00am-2:00pm and Vale Royal Falconry will be stationed outside New Look from 11:00am-2:00pm. Brunner Court will be getting involved in the Easter festivities too with the area hosting glitter tattoos, biscuit decorating, face painting and balloon modelling. Over at Barons Quay, Easter fun is guaranteed with storytelling from 10:00am-11:30am and a children’s climbing wall that kids can enjoy from 11:00am-2:00pm outside H&M. 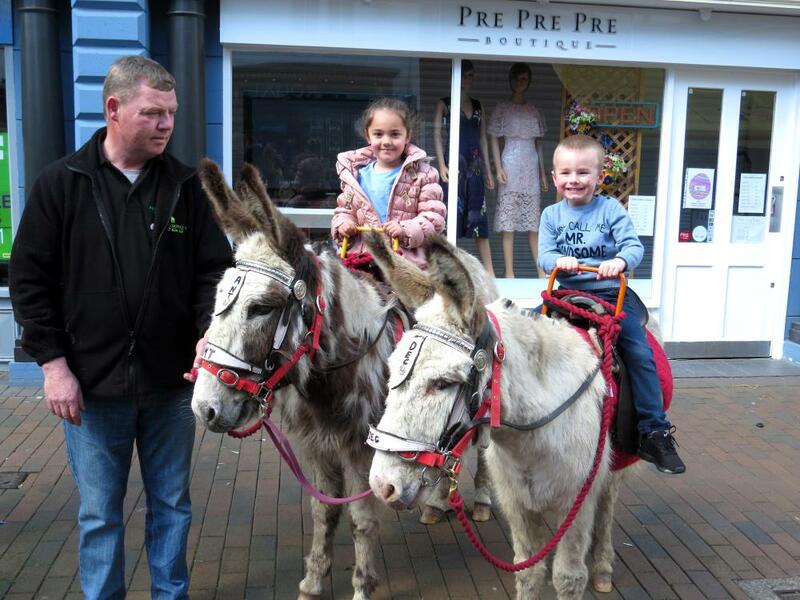 Easter crafts and face painting will also be taking place in Barons Square until 4pm, while Donkey rides will be setting off from outside Asda and M&S. If that wasn’t enough, the Great Northwich Easter Hunt will return too with a number of businesses taking part on the day! Northwich Art Shop, House of Quirk, Pretty Princess Bakes & Cakes, Gilroy Wilson Shoes, Macouti, Kanya Bistro & Bar, Board Beans Café, Curtain Magic, Crafty Stitches, ODEON Cinema, Abda’s Café, Asda, White Ribbon Boutique and The Entertainer are all getting involved and participants can collect an entry form from the Easter competition stall which will be situated outside the Library on Witton Street. Completed forms must be handed back in between 11am-2pm in order for people to receive a prize. Northwich BID Events Co-ordinator Stephanie Leese is looking forward to seeing visitors enjoying the Easter festivities in the town centre and has also explained how events like this are much less likely to happen in the future if the BID doesn’t continue for a further five years. 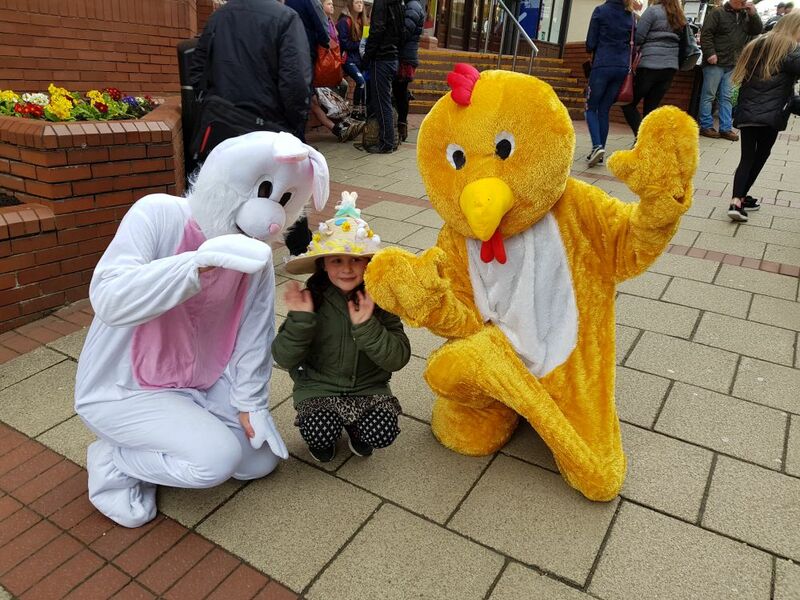 “The Easter Extravaganza always brings plenty of visitors to the town centre and with partners, we have once again organised a comprehensive range of activities for the whole town to enjoy. “Over the first five years of the BID we have strived to improve the provision of events within Northwich and many businesses have given us positive feedback about increased footfall on event days and how they’ve helped to bring different demographics into the town centre. 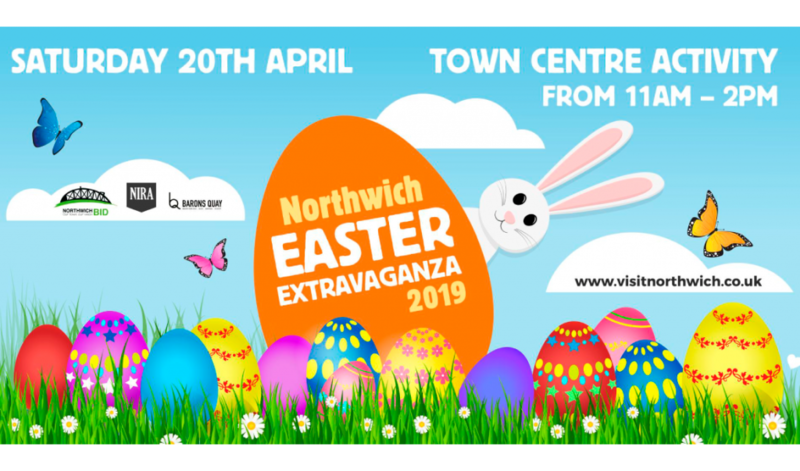 For more information about the Easter Extravaganza, head to the Visit Northwich Facebook page.